Feijoada is considered to be the national dish of Brazil. 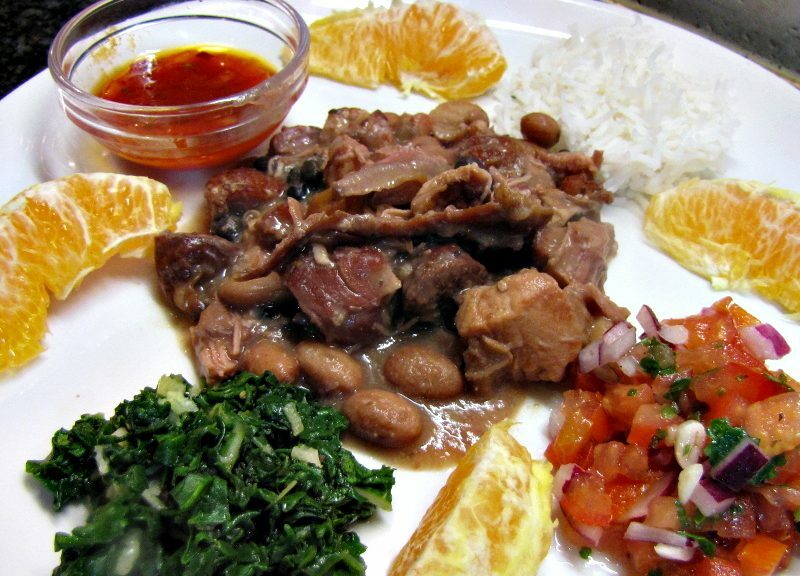 Pork and beans are slowly cooked and served with rice, collard greens and orange slices. 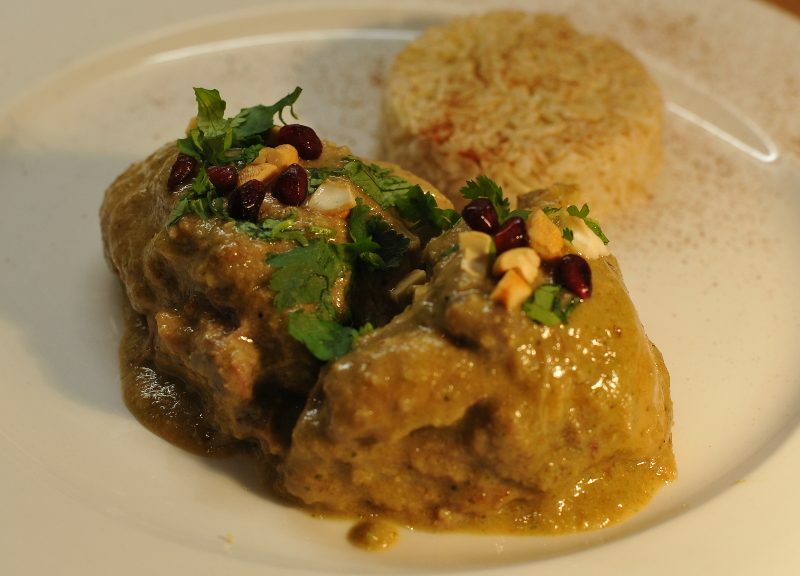 A dish of Portugese origin, it is said that slaves would make this dish out of pork leftovers and black beans. Pig ears, feet and tails are traditionally used in this dish – I opted to leave it out of my version.